The part above the earth surface of the plants Epimedium brevicornum Maxim. , E. sagittatum (Sieb. et Zucc.) Maxim. E. Pubesens Maxim, E. wushanense T. S. Ying, E. koreanum Nakai of the family Berberidaceae. Mainly produced in Shaanxi, Shanxi and Hubei provinces in China. Green-yellow whole leaves wIthout branches. Sliced, unprocessed or stir-baked with suet oil. Sweet, pungent, warm; kidney and liver meridians entered. Tonify kidney and warm yang, strengthen tendons and bones, dispel wind-damp. It is indicated for impotence, male sterility, female sterility due to cold in womb, enuresis, frequent urination, dyspnea of deficiency type and other symptoms caused by kidney yang deficiency, because it can warm kidney and tonify yang. It is warm and dry in property and very strong in action of tonifying yang and curing impotence, therefore, it is very suitable for impotence and male sterility due to cold essence caused by kidney yang deficiency. 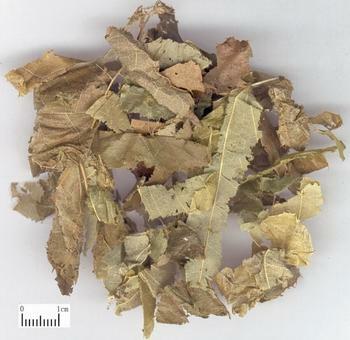 For impotence and male sterility due to cold essence, it could be used as alcoholic preparation singly or combined with kidney-warming and yang-tonifying herbs, for instance, it is used with Ba Ji Tian, Tu Si Zi and Rou Gui in the formula Xian Ling Jiu from Yi Xue Qi Meng (Enlighten of Medicine). For kidney yang deficiency accompanied with insufficiency of kidney essence, it is combined with kidney yang and kidney essence tonics, for instance, it is used with Xian Mao, Ba Ji Tian Gou Qi Zi and Shu Di Huang in the formula Zan Yu Dan from Jing Yue Quan Shu. For kidney yang deficiency, and sterility due to cold in womb, it is combined with kidney-yang-tonifying, blood and essence-supplementing herbs, for instance, it is used with Lu Rong and Zi He Che. For enuresis, and frequent urination due to insecurity of kidney, it is combined with kidney-yang-tonifying and urination-reducing herbs, for instance, it is used with Shan Zhu Yu, Sang Piao Xiao and Fu Pen Zi. For cough and dyspnea of deficiency type due to kidney deficiency and reversed flow of qi, it is combined with kidney-tonifying and lung-warming herbs; for instance, it is used with Bu Gu Zhi, Hu Tao Ren and Wu Wei Zi. It is very suitable for chronic arthralgia, weak tendons and bones due to the disease affecting liver and kidney, or kidney yang deficiency with weak tendons and bones attacking by wind-damp arthralgia, because it can tonify kidney yang, strengthen tendons and bones, and dispel wind-damp, which is similar to Ba Ji Tian, but stronger in tonifying kidney yang, curing impotence and flaccidity because of its warm and dry properties. It i.s commonly combined with herbs to tonify kidney and liver, strengthen tendons and bones, and dispel wind-damp. For wind-cold-damp arthralgia, pain in lumbar and feet, limpness of limbs, for instance, it is used with Du Zhong, Fu Zi, Bi Xie in the formula Xian Ling Pi (Yin Yang Huo) San from Sheng Hui Fang. Decoct 5~15 g, or apply in pill, powder or alcoholic preparation, stir-bake with suet oil for impotence or sterility because the latter can enhance the action of warming kidney and tonifying yang of the herb.